Long-distance relationships can be really difficult. Especially when you’ve only begun dating. When my then-boyfriend – now husband – left Singapore to work onboard a commercial container ship as a marine engineer six years ago, I was extremely worried about how we’d contact each other. He told me that there would be no Internet connection out in the Indian Ocean, mentally preparing me for months of zero contact. He ended up using a satellite-calling card, albeit an expensive option. The quality of the call was only slightly better than using a walkie-talkie, and he was often anxious that the call would get cut off because the card only offers a limited talk time of only 30 minutes. We had to ration it into three 10-minute blocks so we could make at least three phone calls. Subsequently in his later voyages, we found another stable and sustainable way to contact each other: email. But I often wondered if there was a way to talk to him more frequently when he’s away – one that won’t burn a hole in our pockets. Well, such a product (kind of) exists, and it’s an application developed by Singapore’s latest full-fledged telco, Velox Networks. 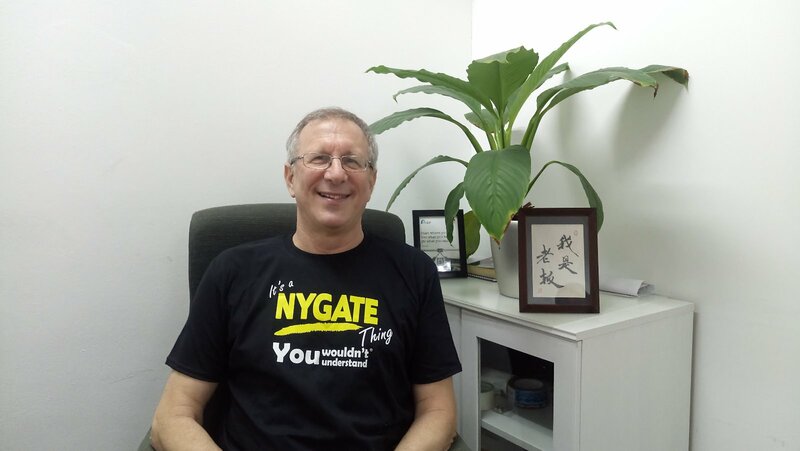 Founded by Martin Nygate (59) and his son, Daniel Nygate (27), Velox Networks is a Singapore-based telco startup that offers a Voice over Internet Protocol (VoIP) communications platform that uses cloud-based Private Branch Exchange (PBX). They were awarded the license by the Info-communications Media Development Authority of Singapore (IMDA), and Velox Networks was officially launched in September 2017. According to an interview by Sgsme, Martin said he started up Velox Networks with his son to provide a high quality, low cost, and speedy overseas communications experience mainly catering to small, medium enterprises (SMEs). Martin described the PBX as something like a “box” that lets calls “flow through”. It can be thought of as a computer running software that manages all the different calls. The advantages of using a cloud-based PBX, Martin explained, is that it saves on hardware investment and servicing costs. “Physical PBX phone systems are expensive and installation is labour-intensive, involving the placement of physical wires throughout an organisation. Cloud-based PBX does not require ongoing maintenance and personnel to manage the systems,” he said. Also, companies only pay for the lines they need. This scalability easily allows organisations to add or remove lines without hassle or additional capital investment. He also said that cloud-based PBX has more features to offer. In addition to call waiting, conference-calling, and caller ID, it has features like auto-attendant, calling groups, call screening, and voicemail to email transcription. Companies whose operations involve high volumes of communication, or long-distance communication constantly, will benefit greatly from its “superior reliability”, which improves continuity. “If an active cloud-based PBX server goes down, the system instantly connects to a working site, and the provider of the service would bear the responsibility of maintaining the system,” he added. Calls made on such consumer VoIP applications can be a “hit or miss” when it comes to call quality and stability, Martin noted. For businesses, it’s important to have “crystal clear call quality” and stability they can depend on to prevent miscommunication with suppliers and business partners. The fact is, not a single business has eliminated their physical phone system in favour for Skype or Line. [The proof is] on the business cards. Business contacts only print their office and mobile numbers, but not their Skype/Line/WeChat IDs. Martin claims Velox Networks’ platform is 95 per cent less expensive than what our current telcos are charging because it uses significantly lower bandwidth to make a call. That’s a lot of savings for businesses, especially for SMEs and startups in Singapore. So, how did they do it? Martin was formerly a vice-president of a sales and marketing role at a software company before he went on to set up his own maritime supply business that mainly provided a “substitute for conventional ethernet cables” for ships. But he found a problem with communications on the seas. Together with 16-year-old Daniel and his innovation, Martin started up Gentay Communications Pte. Ltd. He approached many shipping companies to sell their VoIP services, and there were many who expressed interest in a less expensive solution. However, we were not allowed to do so as current satellite providers did not want any competition that could undercut them. But we did not give up on this idea and continued our market research. He told Tech In Asia that they tried to “solve the problem of mariners on vessels at sea” who couldn’t contact their families using the likes of Skype and Viber, which inspired the father-son team to build an app called, nanu. And they strongly believe that this app is game-changing. When a mariner at sea tries to communicate with the office (on shore), they will do so with the satellites. [To use] the satellites at very low speeds, lower than 2G, is very expensive. He added that while VoIP applications like Skype, Line, and Viber are cheaper alternatives, the problem is that satellites have “limited bandwidth” so these apps “don’t work”. Based on personal experience, the only time apps like Skype and Line calls could work was when my seafaring husband had mobile data or Wi-Fi when the ship stops over at a port. It’s practically impossible to get any sort of reception when you’re out in the middle of the ocean, or up in the Himalayas if you’re a mountain climber. But nanu thrived in India because it was able to reach rural areas and tap on the less congested 2G network when 3G and 4G networks were on the rise. 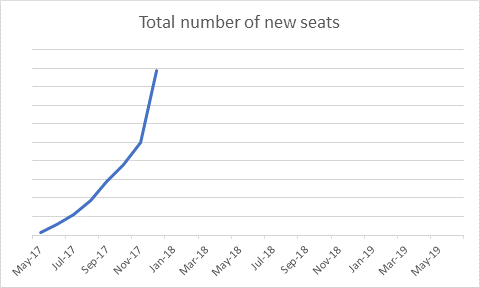 The app was downloaded 6.5 million times in 211 countries, and enjoyed healthy organic growth with very little marketing, seeing 35,000 people joined the app everyday. Over a million calls were made on the app each day. Despite the good traction, the two decided to shelve nanu because it could not be monetised. 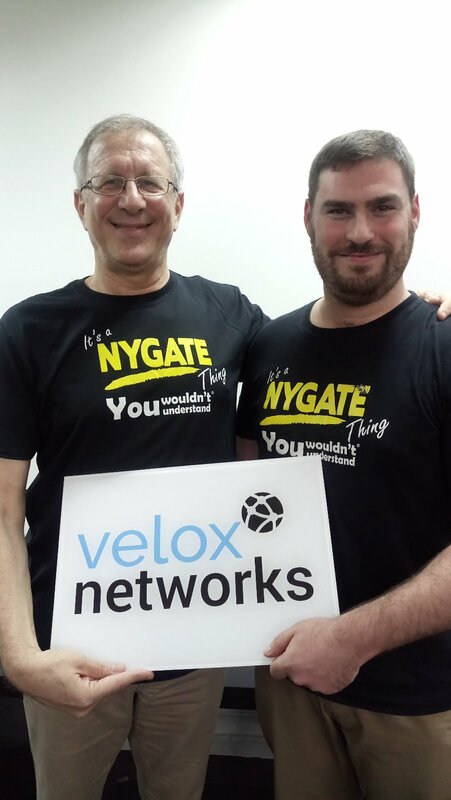 Conceding their failure, the Nygates turned to getting a slice of the corporate pie with the same concept with Velox Networks, which turned out to be a terrific breakthrough in the industry. And this is all thanks to Daniel, who was tasked by his father to come up with a VoIP application that uses minimal bandwidth when he was still studying in university. The Business Computing Systems major did his thesis on low bandwidth VoIP, where he managed to “deconstruct the mechanism of how VoIP packages are sent over the Internet”. Martin refused to disclose the breakdown of the research due to confidentiality reasons, but said that the solution uses 80 per cent lesser bandwidth than a VoIP platform like Skype’s. After consulting with their lawyers, they found that his mechanism is completely unique and original, but decided not to patent it as it would require them to publish the methodology as part of the registration process. 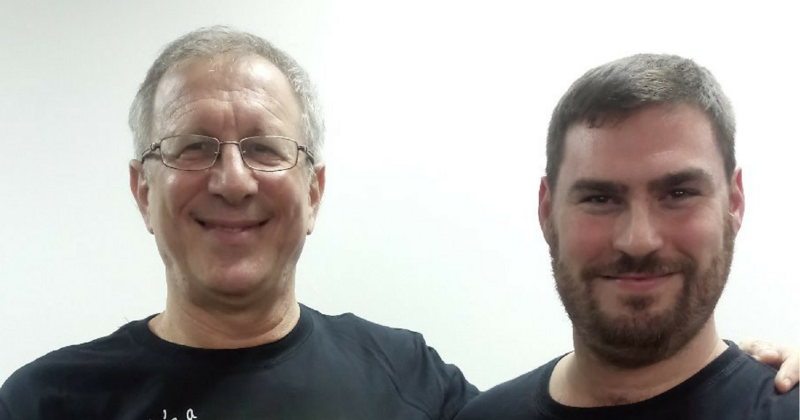 Prior to co-founding Velox Networks with his father, Daniel had been fired twice while working for Martin. According to Martin, youths “are not always conscious of the implications and consequences of their actions”. When Daniel was about 16, he worked part-time for his father. During his time there, he advised his father to reformat his computer as he noticed that it was slowing down. Without much thought, he went on to reinstall the computer’s operating system. Unbeknownst to him, he had accidentally erased all of Martin’s data, which caused his father to be visibly upset at him. “I had to help Daniel [think critically] about [the possible] implications and consequences before acting. Now, he [is more aware and analytical of the] changes and innovations he applies to the technology that he designs and implement,” Martin said. When asked if he puts more pressure on Daniel than other employees, Martin admitted that he feels that he does, but he tries not to “be so hard on him”. His children understand that the pressure he puts on them are borne out of fatherly love, and have learnt to manage this pressure. Martin inculcates leadership qualities and develops strong personalities in his children by encouraging them to “voice their opinions and disagree”. When he recognised Daniel’s interest and flair for Information Technology (IT), Martin made sure to provide Daniel the latest computers and the fastest internet speeds he could afford. “I have very fond memories of his visits to the gaming centres at Bukit Timah Plaza. I never restricted my children from spending time in front of the computer,” Martin recounted. Bringing the conversation back to his plans for the future in the industry, he revealed that he was most excited by the potential for disruption in the telecoms industry. He thought that most “consumers [and] businesses would not give much thought” to this field, because there are SingTel, Starhub, and M1, so that’s one validation for entry. He was confident that these telcos “can never replicate what Velox does at the same, cheap price” as there are numerous physical infrastructure in Singapore to maintain and manage. He also pointed out that they also have to consider overhead and manpower costs. How is he so sure? “Velox charges $0.025 per minute, which adds up to 2.5 cents! And we always use direct routing paths to ensure high quality calls that is superior to SingTel’s +1 service,” he added. “The answer is because a) they can, and b) they have to!” he said. According to Martin, SingTel employs 26,000 people because they have to maintain and manage a large installation of redundant analogue technology, therefore they have to set higher margins to sustain that amount of infrastructure. “Velox Networks could enable all fixed lines in Singapore to enjoy [better quality calls] and employ probably under 100 employees,” he claimed. Martin also shared that partners and clients are happy with the call quality and the extended features Velox Networks offers. The growth of the platform is fuelled by existing customers who purchase more licenses. In an industry that is estimated to be worth 1.2 trillion euros (~S$1.9 trillion) globally by 2019, he thinks that “this revenue would be reduced by over 90 per cent” if it happened in a world of true VoIP connectivity. While Velox Networks currently has no end-user product, they reckon that it is possible in the future. That’s something I think we can all look forward to, not just for seafarers and mountain climbers, but also as citizens of a Smart Nation.